Shiny! That was my first thought when I finished this mani, and I love it! 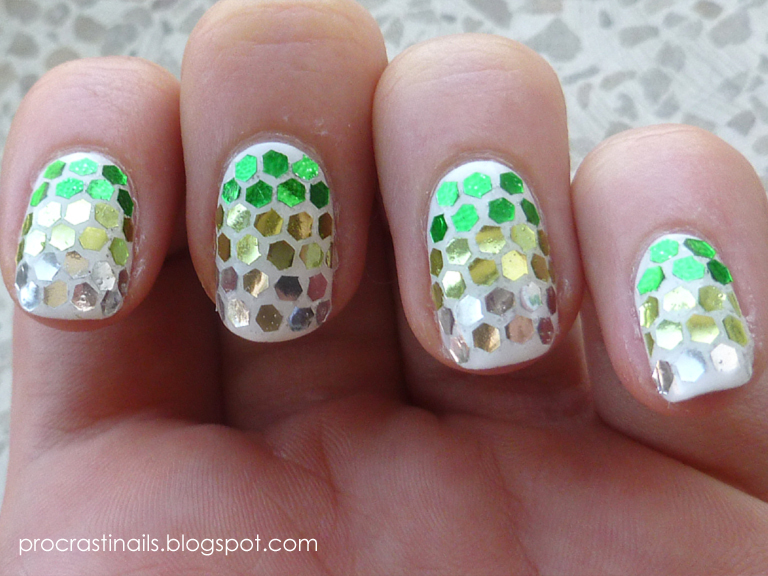 It makes me think of fish scales or a mermaid's tail! 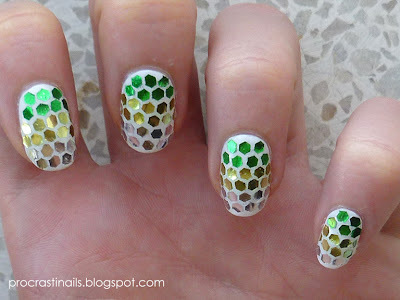 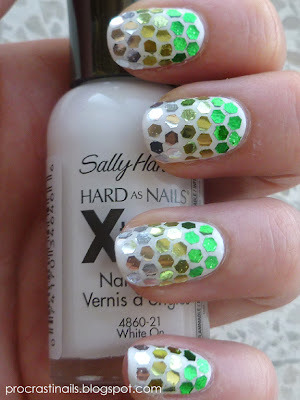 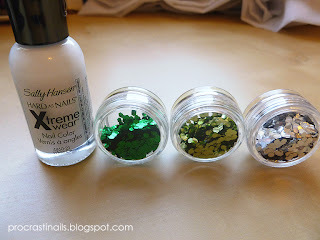 I love these Hex glitters, they are super fun and simple as they are they always look amazing. 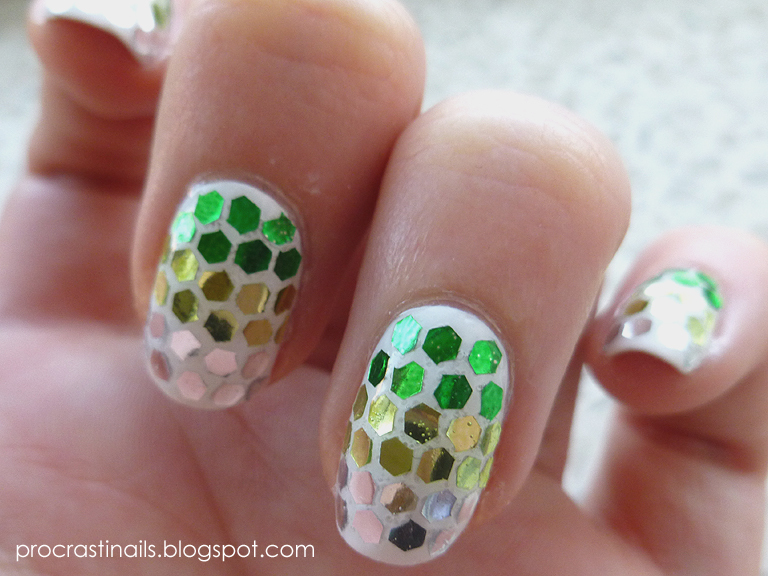 Love the colour change of hex's you used. 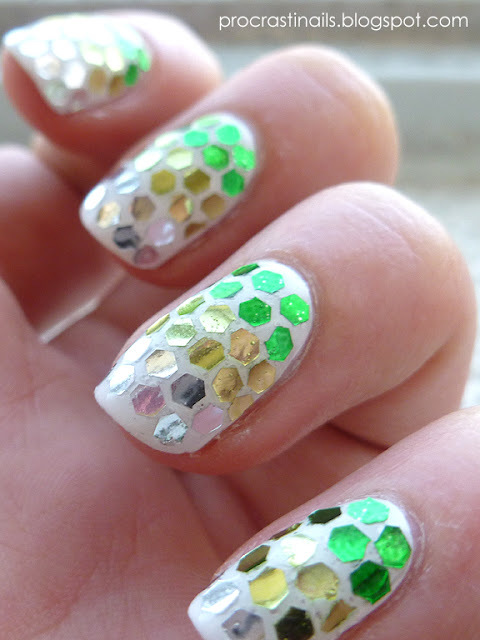 It reminds me of mermaid tale too.